Well built, easy to use, works well. Quite small - may be too small for larger households. The Whirlpool MWD244BL is a reasonably priced 20 litre black grill microwave, with a host of features for it's price tag of around £100. The microwave mode has 7 different power settings, with the maximum providing 700w of power. Whilst in grill mode it features 4 different grill programmes, again with a maximum of 700w power output. This quartz grill system uses less energy than the majority of it's competitors, yet works up to 3 times faster, proving to be efficient in the long run. The Jet defrost system is a handy feature, providing an incredibly fast method of defrosting food - typically seven times faster than a conventional microwave. The exterior of the microwave is finished in black, with silver detailing on the various controls, all of which are clearly labelled. Inside you'll find a standard 27cm turntable, which should accommodate most larger plates and dishes. 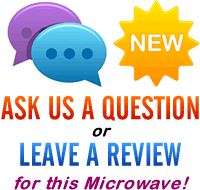 Overall we were impressed with the build quality and performance of this microwave - it looks great, is easy to use, and should prove to be reliable. A well built and high performing microwave. 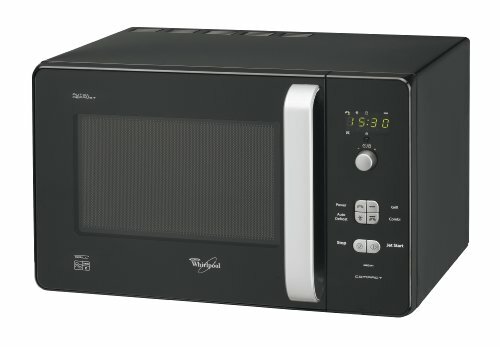 If you're looking for a reliable small grill microwave, then the Whirlpool MWD244BL is a good choice, and should provide you with years of service. Jet Defrost - Auto defrosts up to 7 times faster than a conventional microwave defrost setting. Jet Menu - allows quick and easy way of preparing frozen food in approximately half the time of a conventional oven. Simply select the food type you are cooking, then enter the weight and push the start button. Quartz Grill - this uses less energy and 3 times faster. Vaporises 'burnt on' deposits and is virtually self cleaning. Microwave overall power output 700 watts. 7 Different microwave power settings. 7 Different microwave and grill power settings. Interior capacity of 20 litres. Hi Sandy – as far as we’re aware it doesn’t come in a blue colour scheme – however there are several other blue microwaves available in the UK.